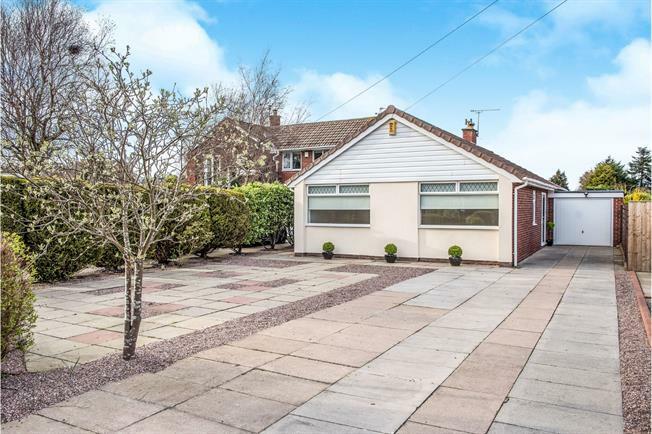 3 Bedroom Detached Bungalow For Sale in Liverpool for Offers Over £380,000. This beautifully refurbished bungalow, in a highly desirable location, is being sold with no ongoing chain! The property comprises in brief; entrance hallway, kitchen/dining space into lounge, conservatory, utility, three bedrooms and a modern fitted shower room. The property is finished to a fantastic standard and must be seen to be appreciated! Bright and airy entrance hallway with wood effect flooring. Radiator. Plumbing and housing for washing machine and tumble dryer. Space for fridge/freezer. Tiled flooring. Base units. Door to garage. Built in wardrobes. Double glazed uPVC window. Radiator. Modern fitted shower room comprising; walk in shower with electric shower and glass shower screen, low level wc, wash basin, tiled walls, heated towel rail, glass shelving, double glazed uPVC windows. Up and over door. Power and lighting. Integral access via utility. To front is a generous driveway providing off road parking for several vehicles and access to garage with up and over door. To rear is an enclosed and well stocked garden, mostly laid to lawn with patio seating area and sunny aspect.